Good Measure provide beautifully designed joinery pieces for a wide range of corporate projects. 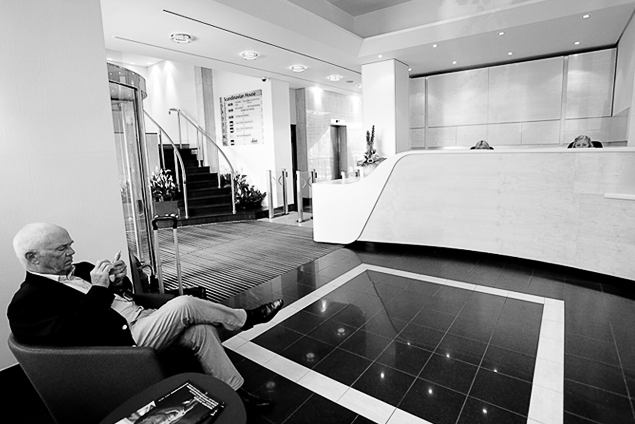 Upgrading office reception areas, meeting spaces, workstations, display screens, media walls and boardrooms. For various other commercial premises we have supplied; illuminated display shelving, coats cupboards, banquette seating and illuminated glass fronted cabinets. Need to upgrade your reception area, shop floor or boardroom? 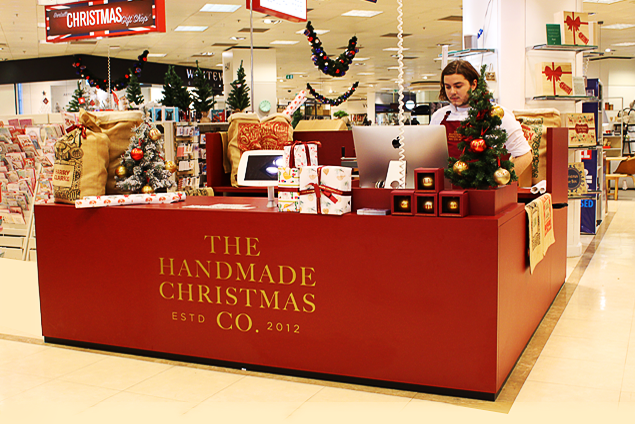 Eight sales counters for The Handmade Christmas Company who install their counters at flagship stores such as Hamleys, Debenhams, House of Fraser and John Lewis. The counters were in The Handmade Christmas Company burgundy colour and pop up as only to be put in situ during the festive period. Here is our high-end residential commission in Battersea SW9; involving creating a spray paint finished media wall and lounge library and bar. 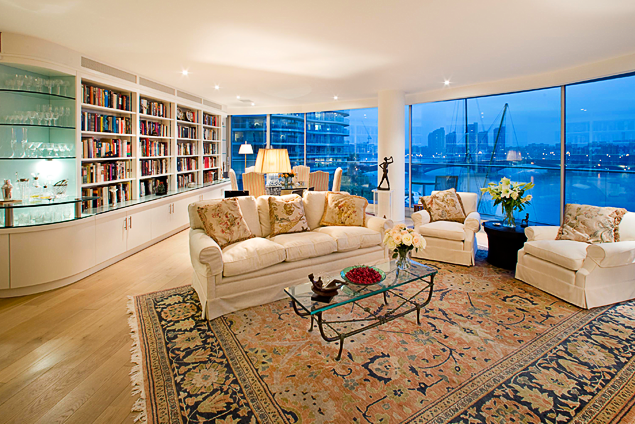 We’ve upgraded the reception area at SEB bank, 2 Cannon Street. 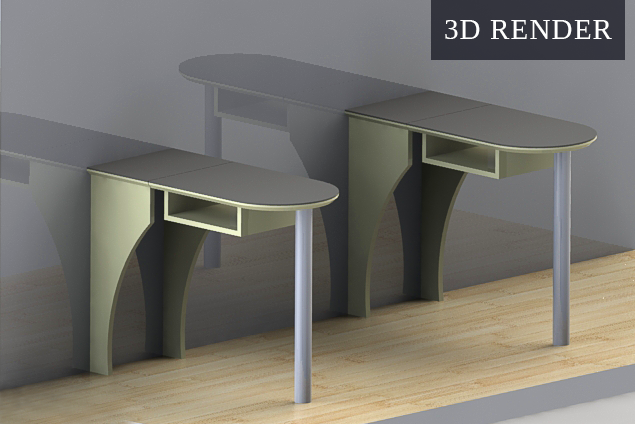 This involved creating the spectacular shaped 2 tone birch and white Corian desk with matching back panels and storage.